Our code of conduct establishes how we conduct ourselves in interactions with our clients, Partner, colleagues, suppliers and other stakeholders. 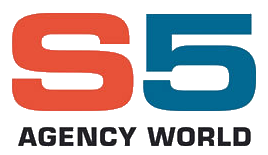 Our Code is based on S5 Agency World’s values and set expectations for conducting our business in a responsible and ethical way anywhere we operate or have business dealings. We strive to deliver a quality and timely service and to understand and anticipate the needs of our customers, partner, colleagues and other stakeholders.